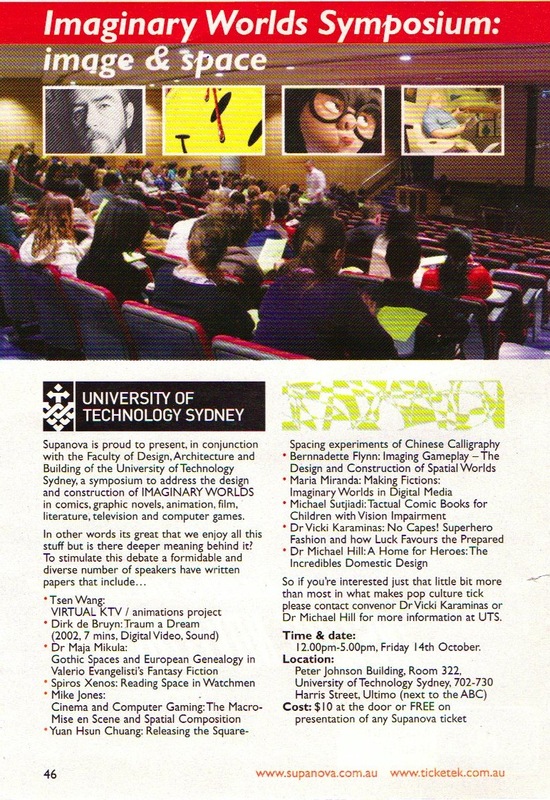 This symposium continued the association between the University of Technology, Sydney and Supanova of staging comics related academic events. 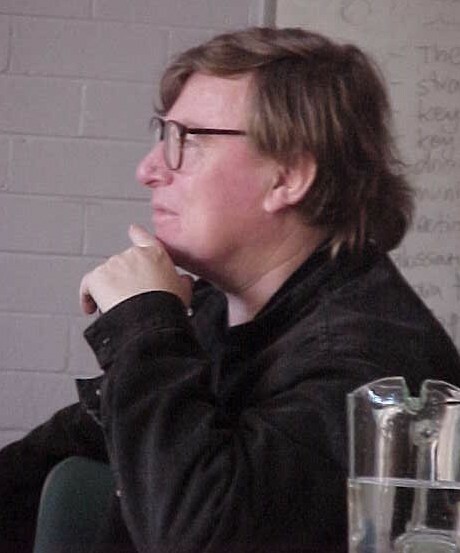 In this case topics were not confined to the study of comics in general nor Australian alternative comics in particular. 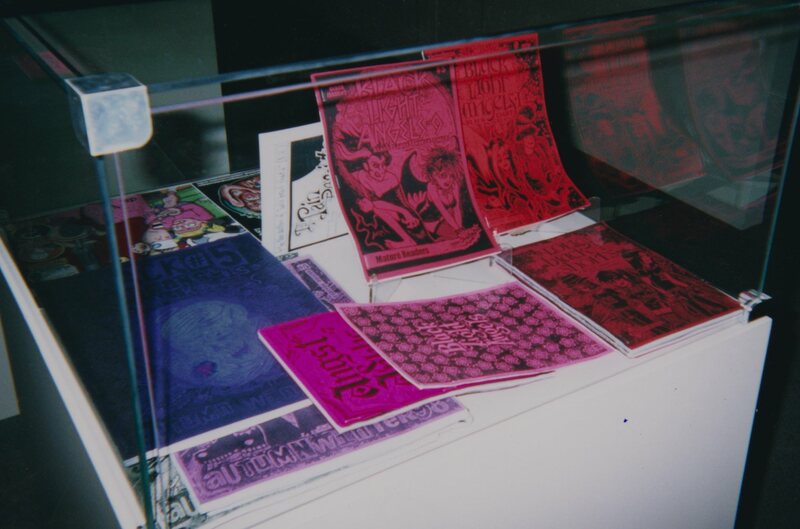 Rather, the papers reflected a more wide-ranging list of subjects that included connections between comics and fashion, film, animation, literature, calligraphy and computer games. 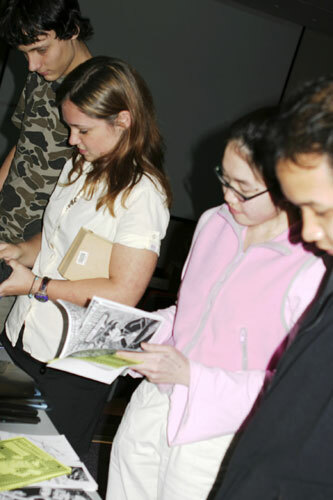 There was even a presentation on the design of comics for young readers with vision impairment. 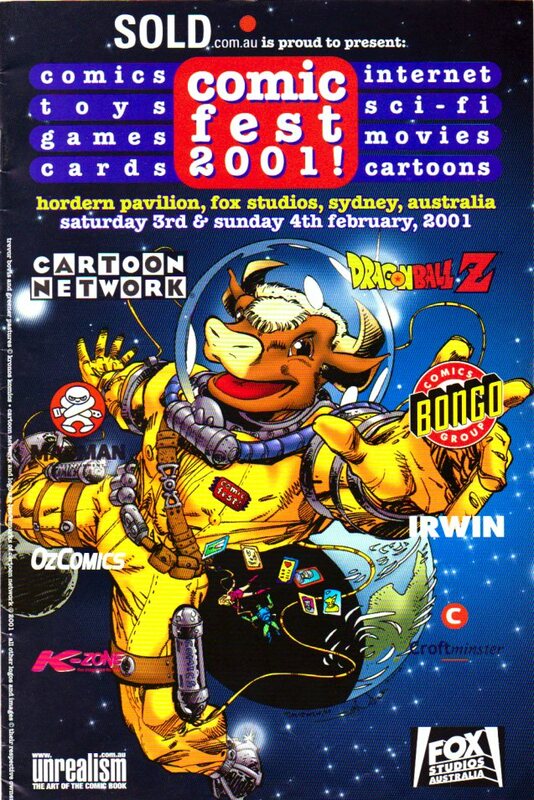 This range of topics had resonance with Supanova’s own broadening interests that had spread from an initial focus on comics (it was originally known as ComicFest) to a wider pop culture spread. 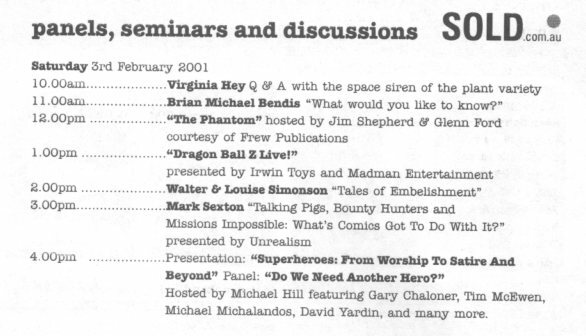 Page from the SUPANOVA program listing the event. 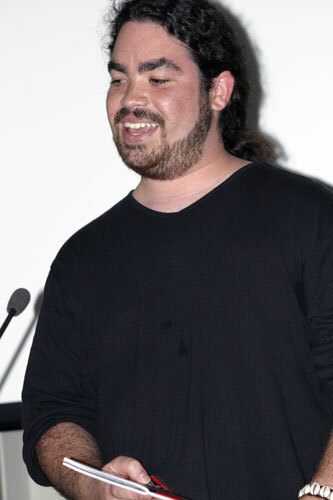 Prior to the emergence of one of the larger comics and entertainment media conventions in Australia Supanova Pop Culture Expo the same management team, led by Daniel Zachariou, staged an event called Comic-Fest. 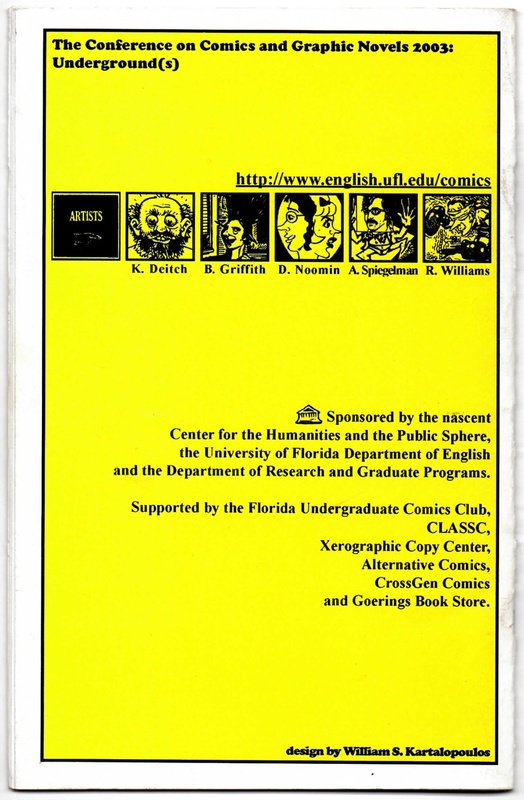 This had a largely comics oriented focus compared with the subsequent broader span of Supanova in which comics represents just one of several entertainment media that included films, Television series, toys, trading cards, computer games and the internet. 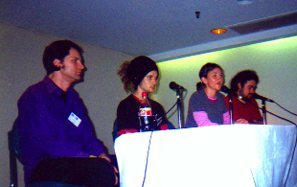 There were two stagings in 2001, at Fox Studios in February then followed in September by Comi-Fest 2 at the Sydney Centrepont Convention Centre. Trevor Bovis in space, the Greener Pastures program cover, design by Tim McEwen. Saturday seminar details with my involvement in the superheroes panel. The Comic-Fest panel line-up, L to R, Dillon Naylor, Daniel Gloag, Amber Carvan and Ben Hutchings. For the September event with approval from the event director Daniel Zachariou I put together a panel discussion on Australian alternative comics by local creators Dillon Naylor, Daniel Gloag, Amber Carvan and Ben Hutchings who each talked about their own comics and answered questions I fired at them from the floor. 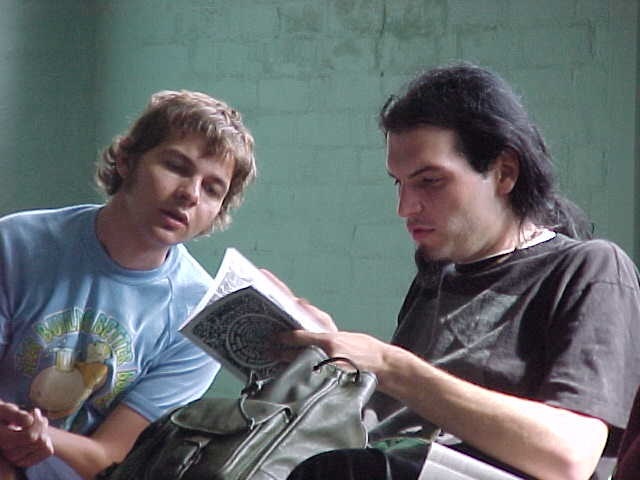 A general discussion of the Australian comics scene followed. Another shot of the panel, L to R, Gloag, Carvan and Hutchings. 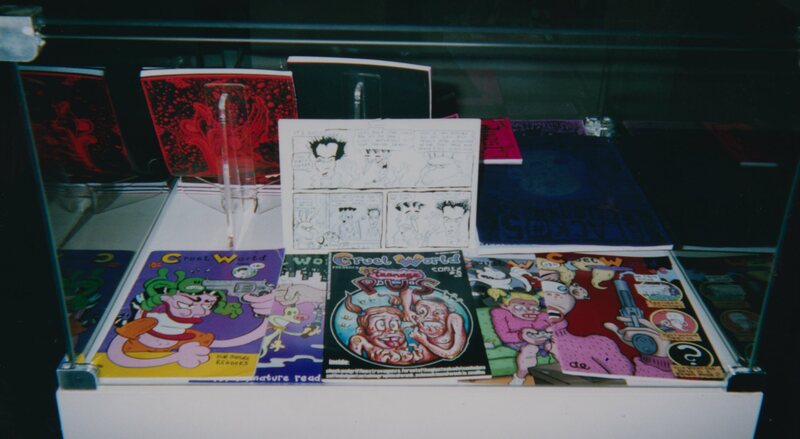 Aside from the panel discussion the big attraction for the local small press was the opportunity afforded them to set up shop and trade their work on the commercial floor along with the imported comics. 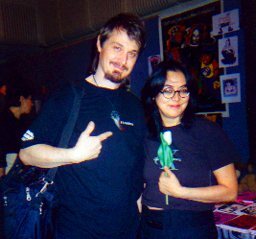 There was also the opportunity to meet fellow local creators and exchange comics, contact details and curry recipes. On the trading floor, Louise Graber and Alex Major. Also trading, Daniel McKeown with Alex Major. 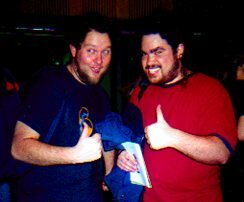 Along with the commercial trading there was the social attraction of meeting and chatting with fellow comics creators. Lewis Morley and Louise Graber. 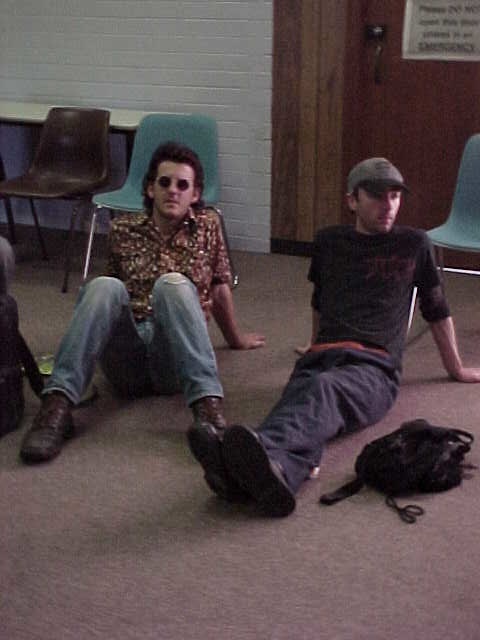 Two funny blokes and even funnier cartoonists, Ross Tesoriero and Ben Hutchings. Ross Tesoriero and Louise Graber. 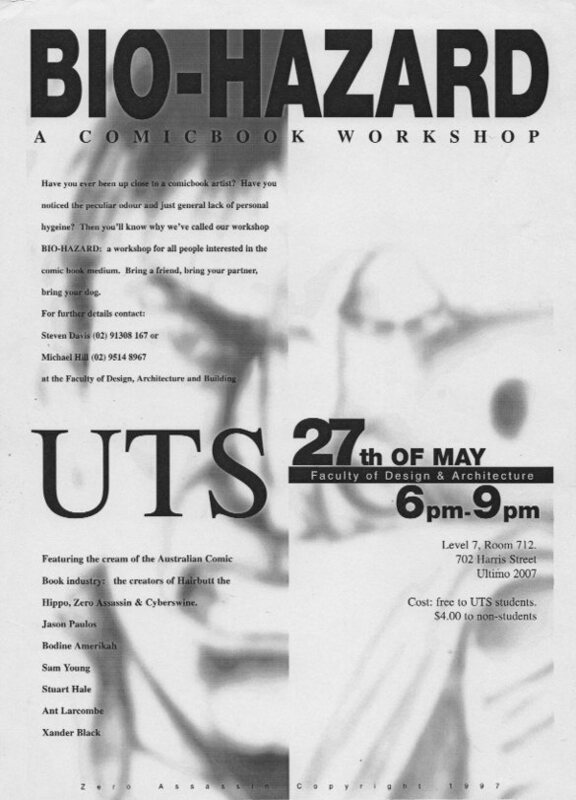 It was ten years ago this month that the second Sequential Art Studies Conference took place at the University of Technology, Sydney. 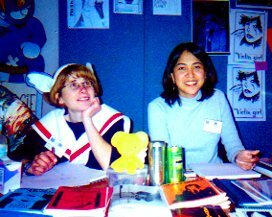 At a time when minicomics, having blossomed throughout the 1990s, had really begun to matter in the local alternative comics scene it was billed as A Mini Conference on Minicomics and featured presentations by comics creators as well as scholars. 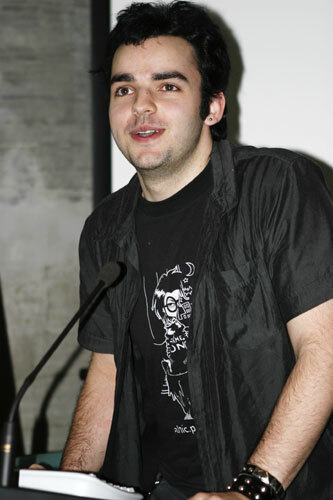 The conference was convened by Spiros Tsaousis(now Spiros Xenos) and I and was a sequel to the first Sequential Art Studies conference held in 2002, again held in association with Supanova Pop Culture Expo. 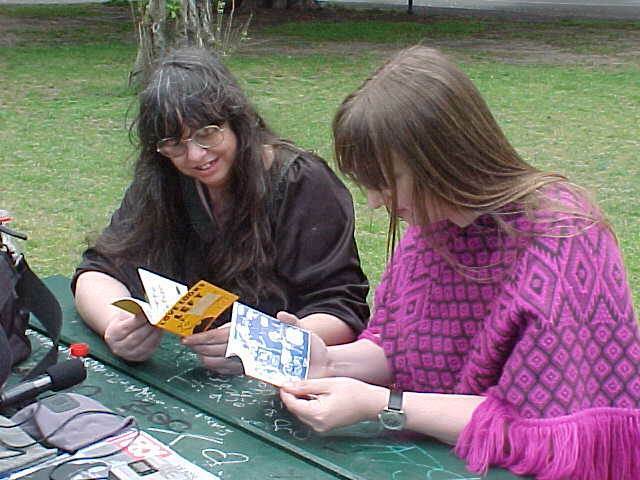 Included in the event was a minicomics market. 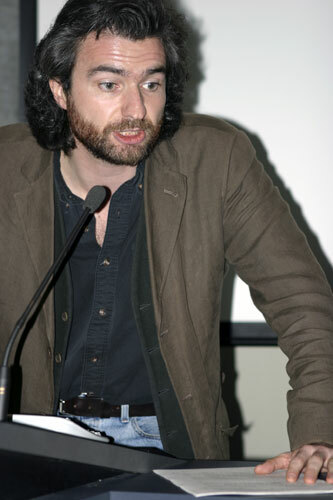 Craig Norris, University of Western Sydney. 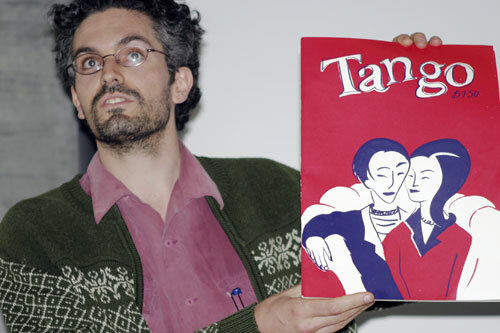 Bernard Caleo ‘performed’ his comics manifesto and promoted Tango. 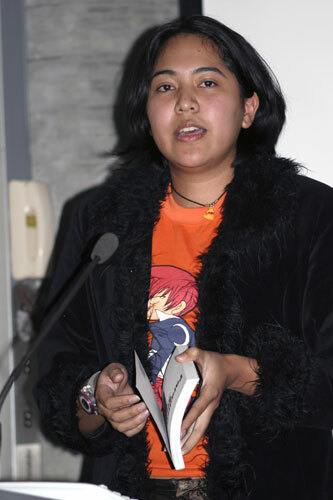 Komala Singh talked about her minicomic Moshi Moshi. David McDermott goes Glitter Shy and had some pages ‘performed’ live in his presentation with lines read to projected images of panels. 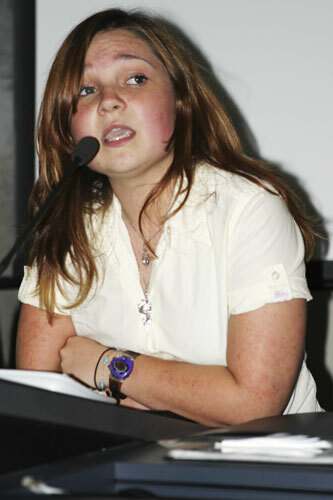 Chloe Lyttle introducing David Maccad. Katarina Knebel talks Cult Fiction Comics. 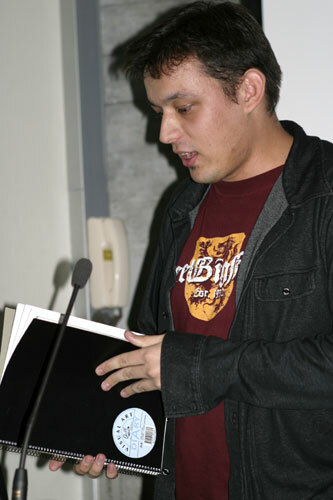 Alex Major describes his minicomic Naomi and Poggie. Minicomics market at the conference. 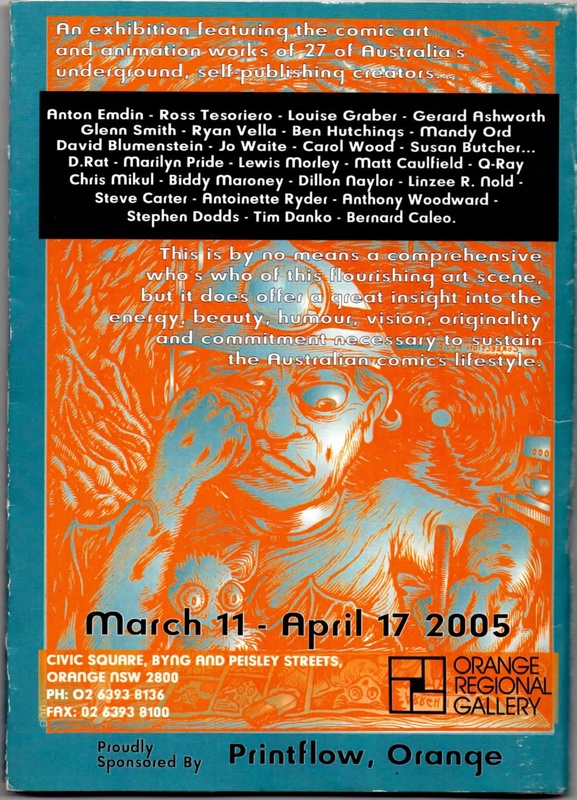 This is the thirteenth in a series of posts called Archives of Australian Comics History that document moments in the recent history of Australian comics, particularly alternative comics and the Australian Small Press. 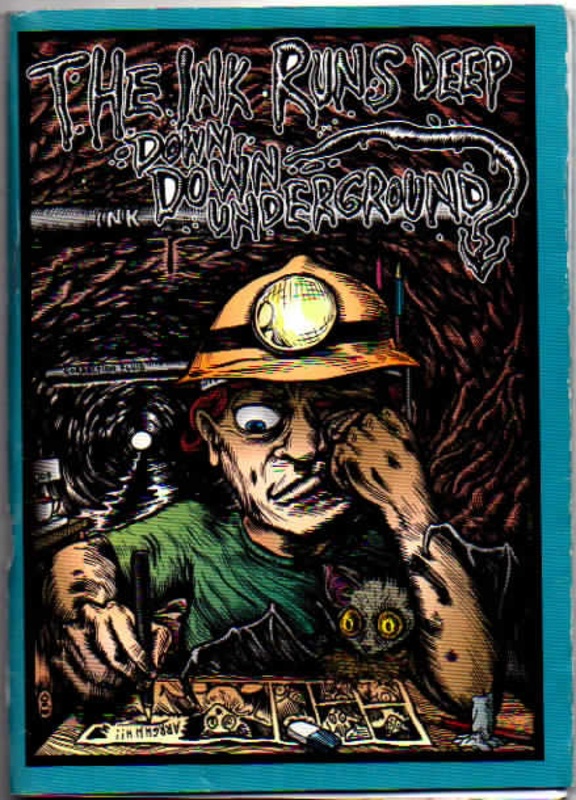 I started researching this subject in the late 1990s and it eventually led to my PhD thesis: Ph.D. Macquarie University, Division of Society, Culture, Media and Philosophy, A Study Of Contemporary Australian Alternative Comics 1992-2000 With Particular Reference To The Work Of Naylor, Smith, Danko And Ord, 2003. On completion of the research I donated the materials and comics I had collected to the National Library of Australia: Michael Hill Collection of Australian Comics. 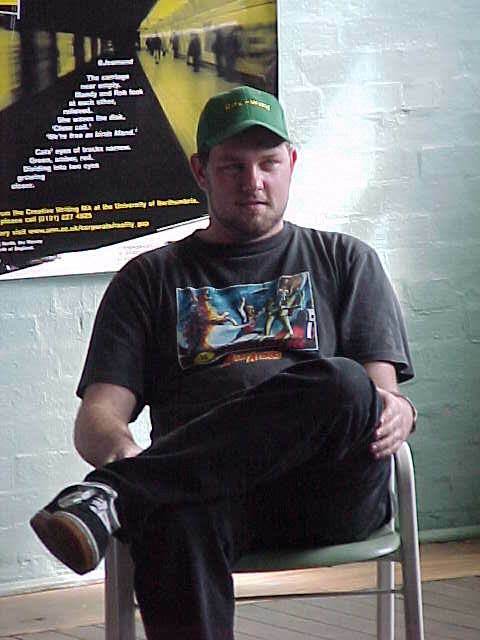 On Sunday 27th September 1998, I drove from Sydney to Newcastle to attend the two sessions devoted to the discussion of comics at the inaugural National Young Writers’ Festival. 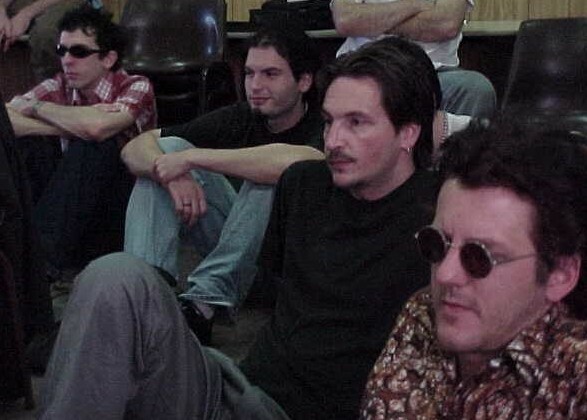 Accompanying me were three active members of the Sydney ‘small press’: Stuart Stratu, Anton Emdin and Ross Tesoriero. With there having been all too few formal attempts to discuss and promote ‘small press’ activity we were impressed with the novelty of the event, its inclusion in a writers’ festival and with the fact that it was actually taking place, if a little curious as to why the organisers had by-passed Sydney and only invited Melbourne and Canberra based creators. Nevertheless we were enthused enough to make the trip as it offered a rare opportunity to meet with colleagues from interstate, many of whom, although familiar with their work, we had never met. 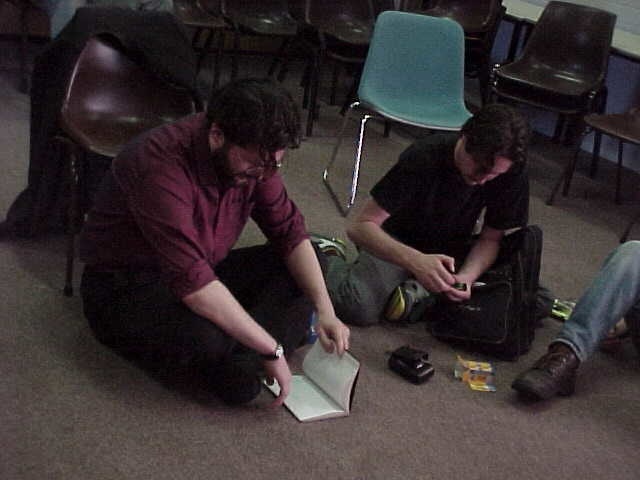 1999 event: Michael Fikaris(Froth) reading minicomic. 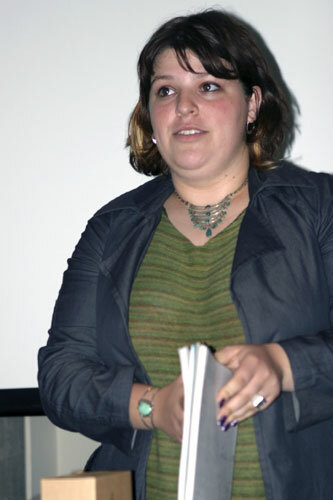 (Photo by Louise Graber). The organizational aspects improved considerably over the next few years and the festival developed, expanded and diversified. Originally called the National Young Writers’ Festival it became part of the umbrella event TiNA, the acronym for This is Not Art. This has become a multidisciplinary event in the week leading up to and across the October holiday weekend and has spread around Newcastle which has become the TiNa Arena. During the weekend the city becomes a catchment area for visiting youth from a range of artistic, literary, music and media fields from all over Australia. 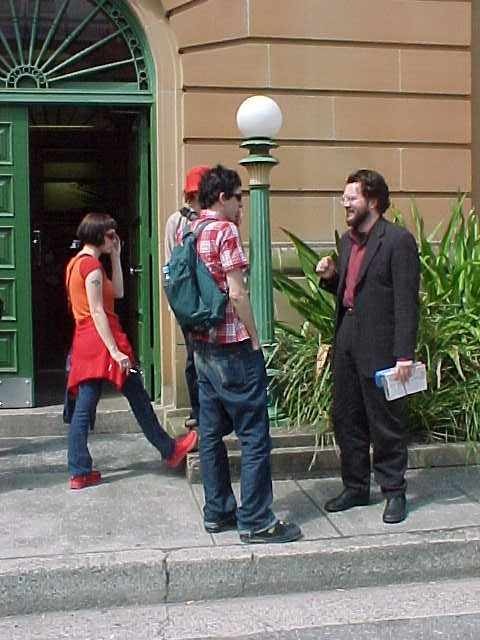 I attended five consecutive events from 1998 to 2002 by which time comics discussions had moved into the Town Hall. A high point for comics creators is the annual comic and zine fair held on the Sunday afternoon. This was a busy trading and swapping event first staged in the park across the road then subsequently moved into the Mission theatre with accompanying live music. 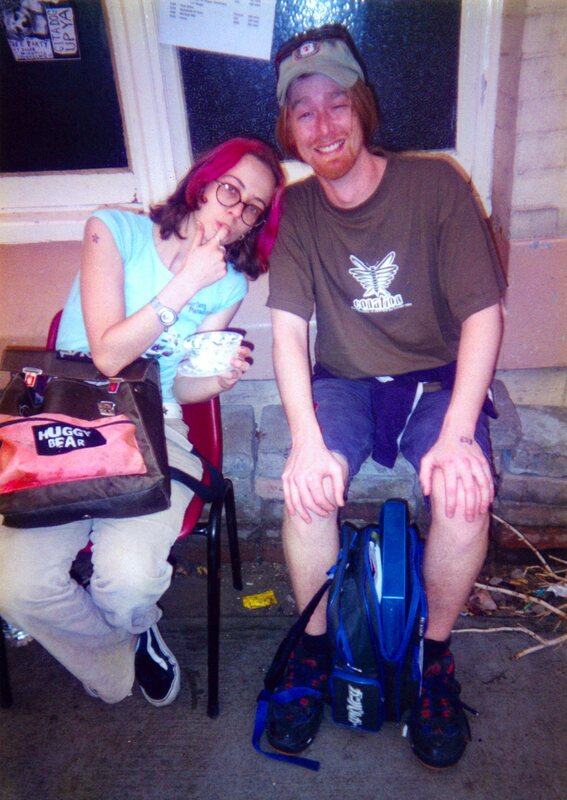 On arrival in the city that afternoon in 1998 we easily found the centre of activities laid out in various sumptuously appointed rooms of the Newcastle Town Hall and Civic Centre. There were panels and presentations in the Banquet Room, the Function Rooms and some impressively attired Committee Rooms in the Council Chambers and also at the nearby Wintergarden Cafe. 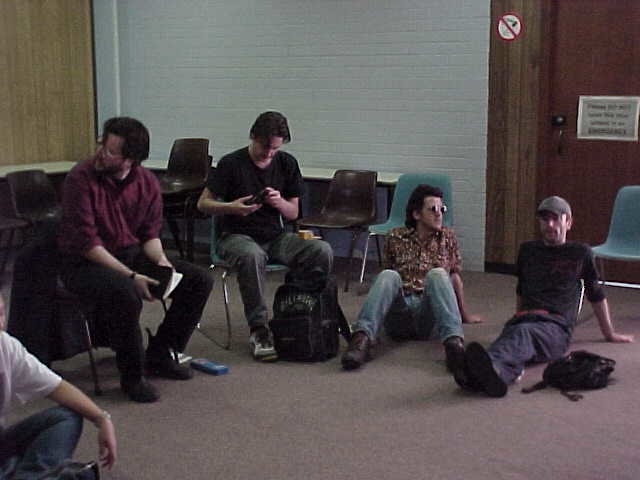 We were, however, unable to find the venue for the discussion of comics, so we asked for that information and were directed out of the main building, out the back and there it was, a modest room with plastic chairs, and an insufficient number of them at that, so a few attendees sat on the floor. No podium, no lectern, no microphone, no monitor, no vcr, no whiteboard, no jug of water, no media nor reporters were present. Furthermore, this was not a seminar but a workshop. Comics were not so much to be discussed as produced and if there was to be any discourse it would be on matters of production rather than on content, or so it seemed. Then I realised how appropriate all of this was in the then current scheme of things. It was the perfect venue at a writers’ festival for the discussion of comics because it indicated just how marginalised the form was. The established, pure literary forms such as the novel and poetry headed the hierarchy. 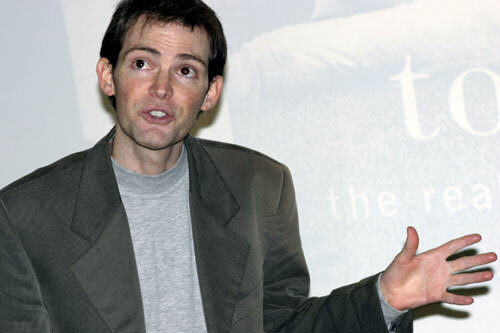 Even emerging word based forms such as e-mail and writing textual content for the Internet and journalism had superior status and were located in the main hall. 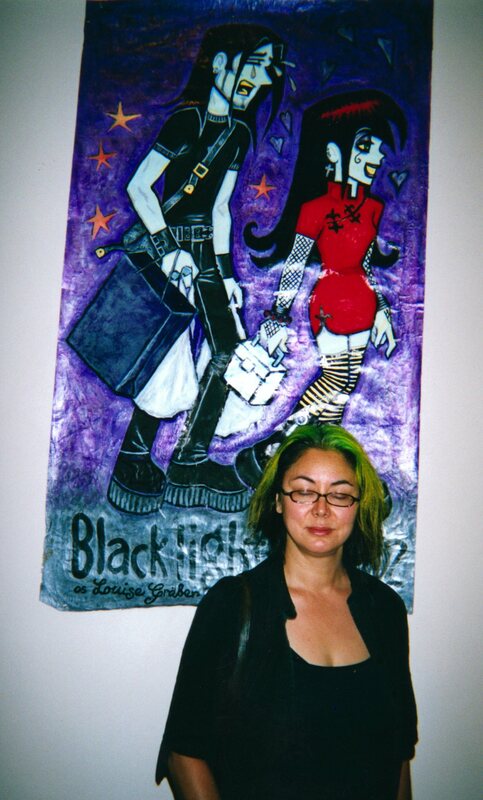 But comics and zines, not being part of the mainstream, were out the back and out of sight. Things changed over the subsequent years. 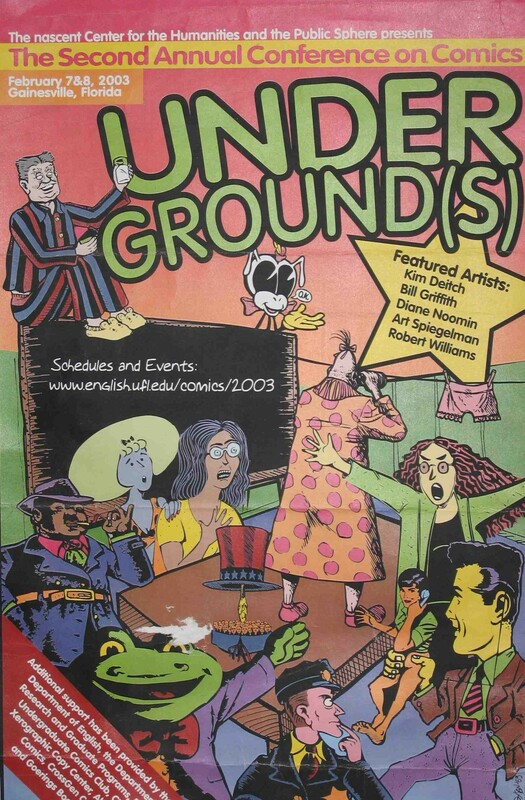 We’ve had comics events at the Sydney Opera House with international guests but it was so different back then, so ‘underground’, so beneath the radar. 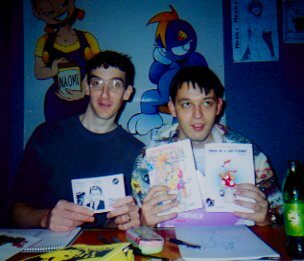 Comics were even made during the event in a ramshackle upstairs, cut and paste graphics studio called Octapod where minicomics filled were produced. 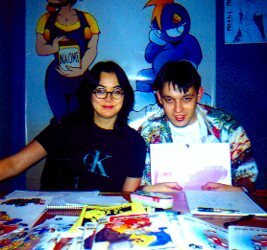 At the 1999 event I took the opportunity to do a series of interviews with many of the comics creators in attendance. This became research material for my thesis. 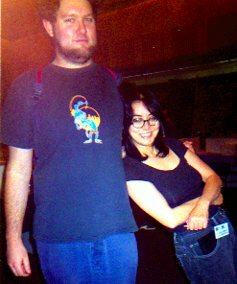 Event organiser Kylie Purr with Glenn Smith. 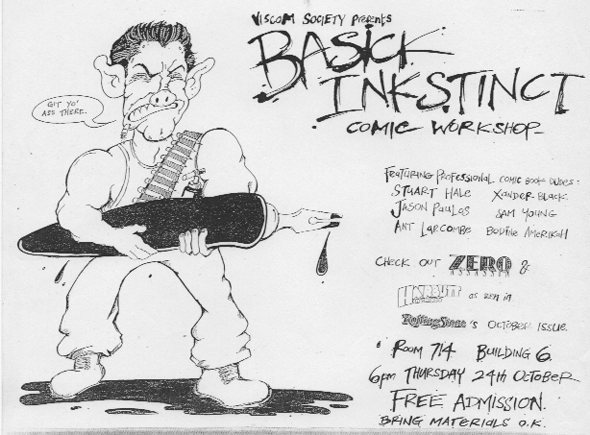 This is the tenth in a series of posts called Archives of Australian Comics History that document moments in the recent history of Australian comics, particularly alternative comics and the Australian Small Press. 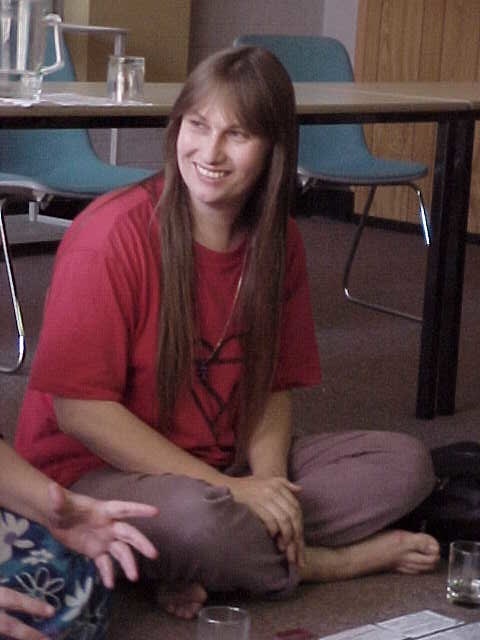 I started researching this subject in the late 1990s and it eventually led to my PhD thesis: Ph.D. Macquarie University, Division of Society, Culture, Media and Philosophy, A Study Of Contemporary Australian Alternative Comics 1992-2000 With Particular Reference To The Work Of Naylor, Smith, Danko And Ord, 2003. On completion of the research I donated the materials and comics I had collected to the National Library of Australia: Michael Hill Collection of Australian Comics.